Hi! I am Vivianna from Polka Dot Robot. I am super excited to be on Smile and Wave today. This year I am trying really hard to get into the holiday spirit. 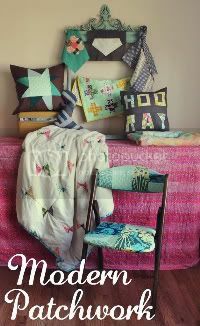 Every Thursday on my blog, I do a post on handmade holidays. I know that it is really early to be thinking about the holidays, but due to my calendar I have to. 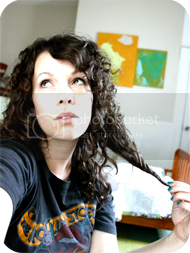 Today, I want to talk about documenting your holidays. 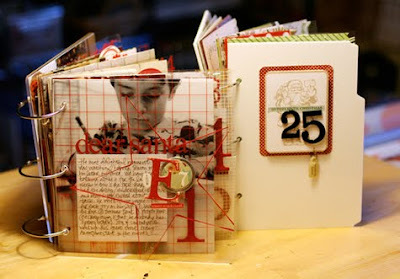 There is a trend going around the scrap blogs called December Daily that Ali Edwards started a few years back. 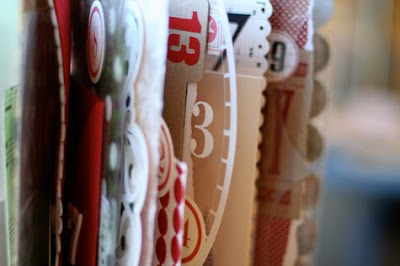 You are invited to join me in December Daily project. 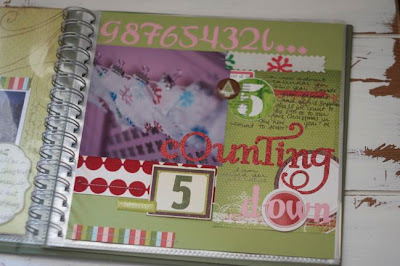 December Daily is an album project that documents the 25 days leading up to Christmas. 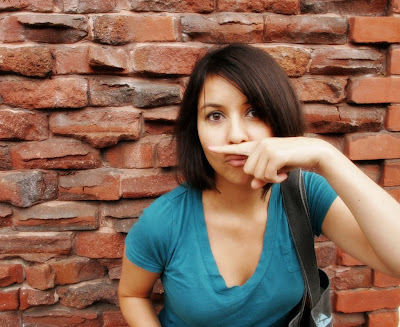 Many people start their documentation earlier and many people go longer. I have found that 25 days is just right for me. One of the keys to success in this project is getting an album structure set-up in advance of December so that during December you can enjoy the season & enjoy the process of documenting your days without having to be putting the entire thing together at the same time. It is not meant to be stressful. 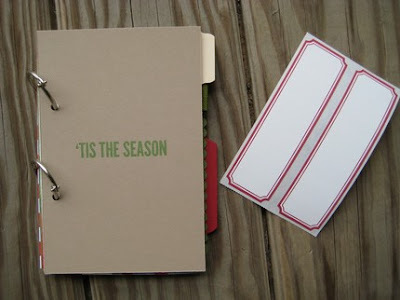 It is meant to be a way to creatively celebrate the season and document your special holiday memories in one album. Before you get started you should read the basics. Then if you have questions about this project, read this. 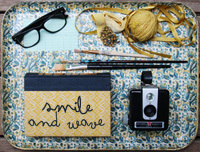 STEP ONE: GATHER & ORGANIZE YOUR MATERIALS Easy enough. Get all your holiday stuff in one location. Having it all in one spot and accessible makes the entire process that much easier. My organizer for this project is usually just a box or basket. While you are gathering your supplies it's also a good opportunity to purge things you might be ready to pass along to someone else (think school, church, retirement home, shelter, etc). Read Ali's blog for the rest of the steps. She only has two right now for 2009. There are some December Daily kits that you can buy. Now if you want a little more help or planned out ideas then here is a class for you. Every year, Journal your Christmas includes daily prompts from the 1st of December to the 6th of January, the twelve days of Christmas. The 37 illustrated PDF files are delivered straight to your inbox so you can read them over your first cup of coffee and mull over each topic for a full day. There’s also an archive of the class materials online in case you can’t get to your email or in case something dreadful happens to your computer. And like every year, you can go it alone or be as social as you like, with a private discussion forum where you’ll find other Christmas journalers who will cheer you on and share your excitement, but if you prefer to stick to the prompts only, that’s completely fine too. And like every year, if you’re participated once, you can join us every Christmas for as long as you like at no extra cost. The best thing about this class is you can register all year round. Once you join, you're a permanent member. Can't get much better than that! 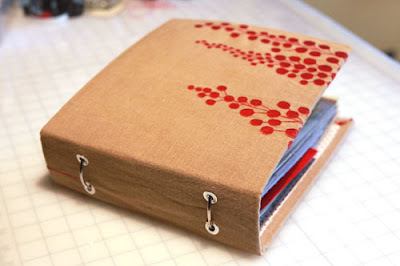 Rachel is offering a tutorial on helping you stay organized this holiday season with this cute mini book. However you choose to document this holiday season is up to you, but have fun! 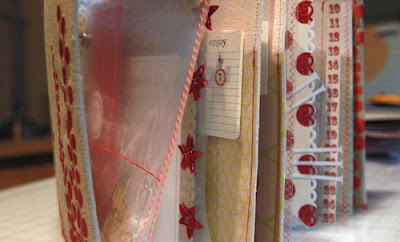 I have not started my December Daily yet, but I will be as soon as I return from New York. PS. Rachel, i love Your mini book. have a nice day, girls! I am going to try and complete a holiday book this year. I think I may actually start with Thanksgiving and go through the 12th day of Christmas. I have gathered papers, ordered more, and will start to put it together once everything is here. I'm excited to commit to this. This summer I did an entire month (August) to commemorate my life at 40. It was hard, but I like how it turned out. Good luck to everyone who is going to do this! And good luck Rachel with the coming of Ruby! Can't wait to see pictures!!!!! Love all the ideas! Christmas will be here before we know it! Yay! I can't wait. 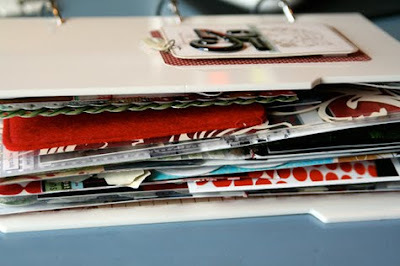 I am trying really hard to enjoy christmas this year and not stress...so this is an awesome project. 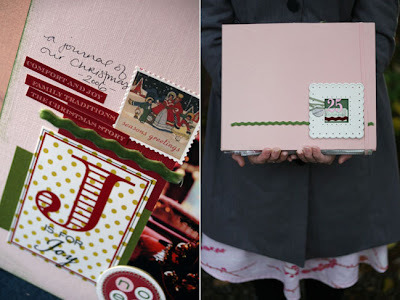 love the idea of documenting the Christmas season. Maybe now i can use up all those random christmassy bits i've gathered over the years! this great! i love that its 25 days! i dont do an advent calendar with my sister and family anymore now that i'm out and married. but this could be a cool way to lead up to christmas & remember all that goes on in this special month! thanks! just checked out your website and love your stuff! thanks for posting. Very cute book! Such great ideas. I am doing a december daily album for the first time this year. Good luck with yours! !